February 13th in Theme Lists, WordPress Themes by Wordpress Jedi . Dentario: a Retina ready theme with Viusal Composer support, allowing you to build an attractive site via drag & drop. It comes integrated with Google fonts. 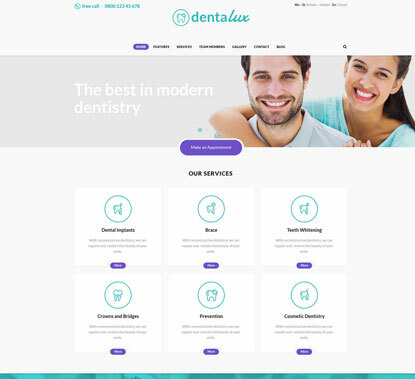 Dentalux: a minimalist theme bundled with premium plugins for dental business websites. It has a custom theme options panel, WooCommerce support, and a responsive design. You get custom widgets for Twitter, popular posts, and other content blocks. 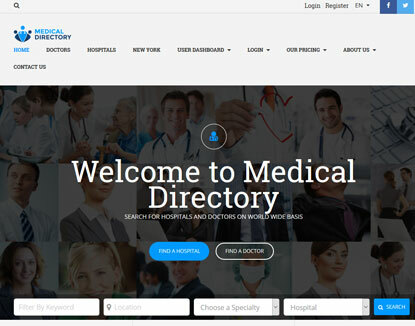 Medical Directory: lets you create a directory of hospitals and doctors on your site. It supports PayPal and Stripe payment gateways. It lets you create your own membership site. 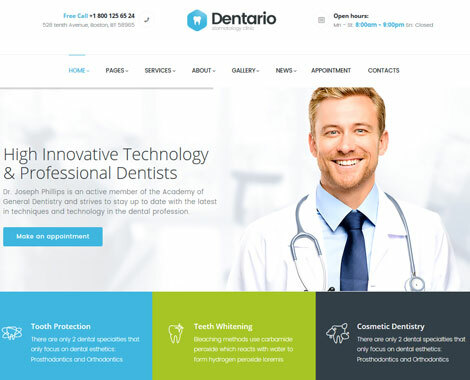 Dentist and Medical: works for dental practices, medical clinics, doctors, and other similar sites. The theme has 99+ custom shortcodes, custom widgets, and Google fonts integration. 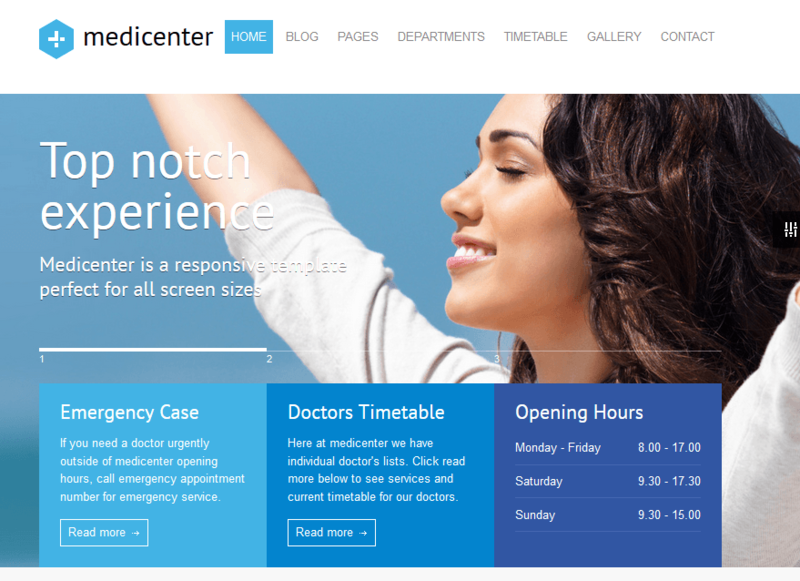 Health Center: this premium theme has a drag & drop pagebuilder and WooCommerce support. It comes with an appointment form, department management, timetable, and everything you need to promote your services. 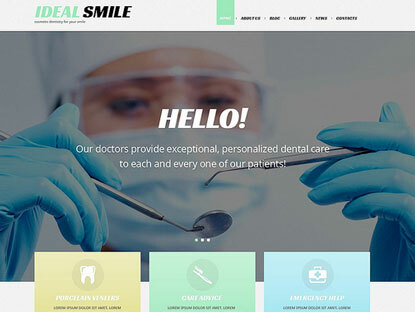 BeDentist: this theme is powered by TemplateMonster’s drag & Drop page builder. It has 25+ modules, various layouts, an appointment manager, and Google fonts. 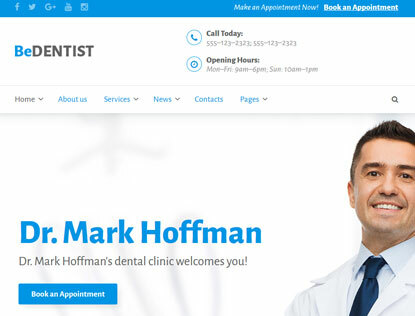 It is designed with dentists and doctors in mind. Dentic: coded in HTML5 and CS3, this theme is powered by Cherry Framework. Lets you easily promote your team, services, and testimonials. It is ready to be translated and has a lazy load effect for your content. 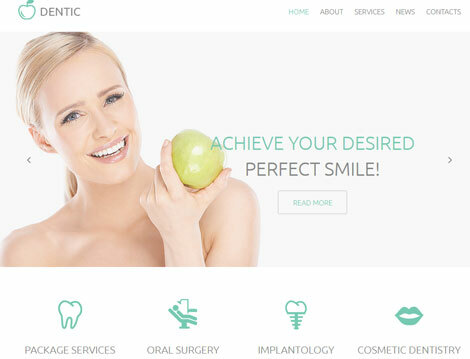 Dentistry: a premium theme coded in HTML5, CSS3, and jQuery for dentists. It has blog and portfolio functionality, Google fonts, and maps. It is powered by Cherry framework. 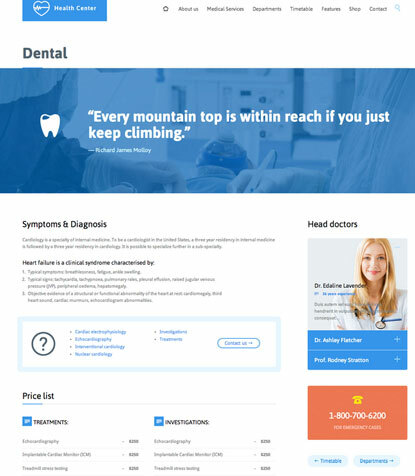 Dentist: a one page WordPress theme for dentists. It lets you show before & after gallery, your team, and other relevant info on your site. It is responsive and has a drag & drop slider editor. 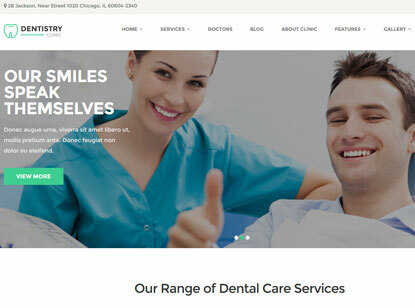 Dentistry Clinic: a responsive dental business theme with before/after gallery, responsive design, and RTL support. 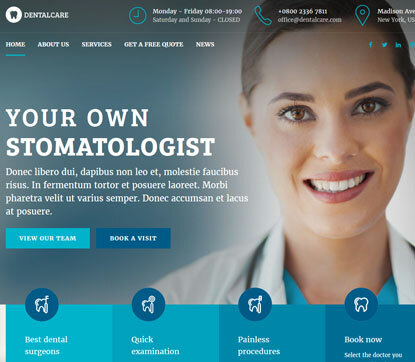 MediCenter: this attractive theme has 6 skins, 800+ fonts, 20+ page layouts, and WooCommerce integration. It is ready to be translated. 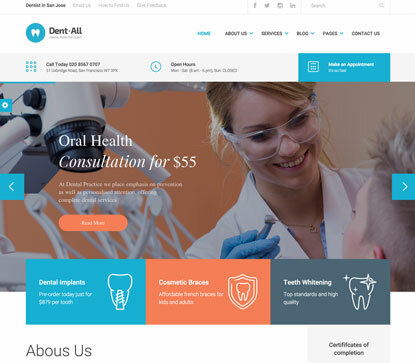 Dent-All: a theme for dentists and medical businesses. It is responsive and comes integrated with Visual Composer. It is powered by REDUX. 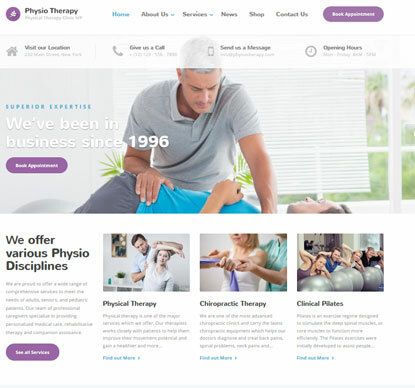 Physio: a physical therapy and medical clinic theme with a drag & drop page builder and custom widgets for opening hours, Facebook, and Staff members. 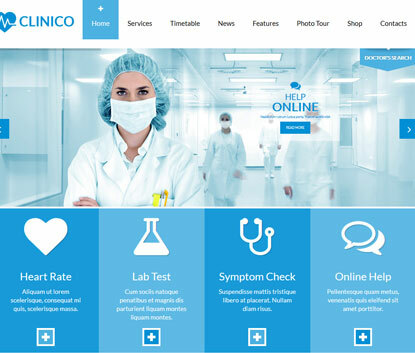 Clinico: this theme has multiple custom widgets, page layouts, and a responsive design. It is ready for WooCommerce. Medicare: a clean theme for health, medical, dental, and vet services websites. It is responsive and ready for Retina displays. With Rapid Composer, you can build pages via drag & drop. It is ready to be translated. 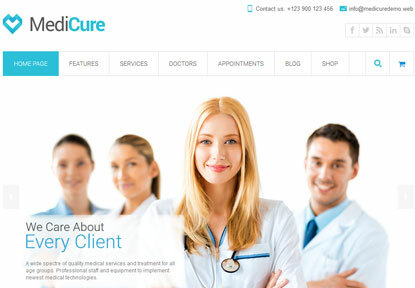 MediCure: this theme has unlimited colors and 2 custom post types (for services and testimonials). It is responsive and ready for Retina displays. 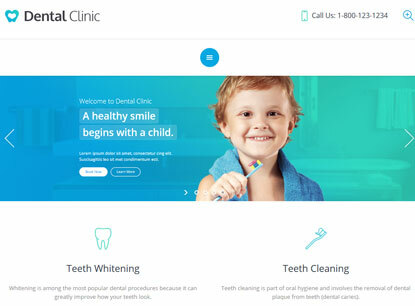 Have you found better themes for dental businesses, doctors, vets, and other health professionals? Please share them here.